These kids stretch their muscles and bend their bodies from sunrise to sunset in the name of glory. 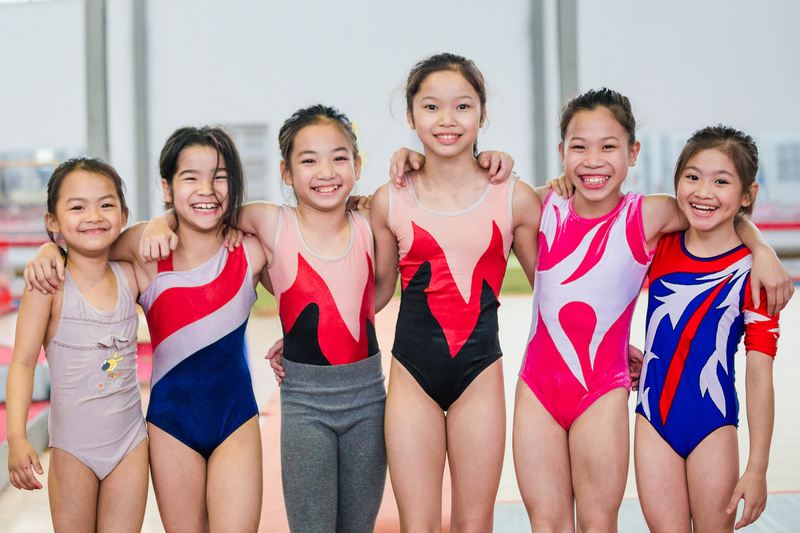 Vietnamese gymnastics is a rising star in Asia with a growing list of achievements at both regional and continental competitions. The road to glory, however, comes at a price and takes athletes a lot of effort from a very young age. 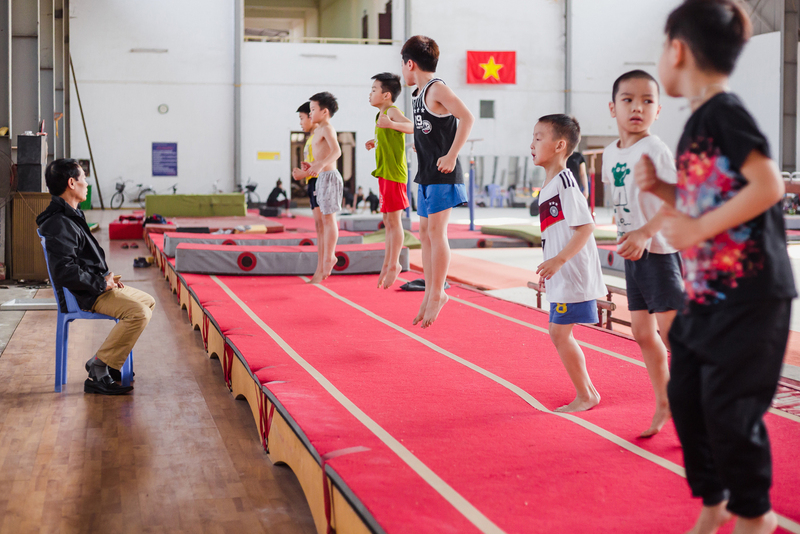 Here at a gymnasium in Hanoi, one of only four in the country, kids of 5-12 years old have been beating the norm to force their bodies into shape. These kids are divided into boys and girls and guided by two different coaches. The youngest athlete, Nguyen Ngoc Minh Chau, has just turned 5. She practices here every day, but unlike others who sleep in the dorm all week, Chau stays for just one night. At this age, they mostly practice combined exercises to boost their agility and flexibility, the most crucial elements in gymnastics. In addition to physical strength, gymnastics requires athletes to coordinate their balance with flexibility. 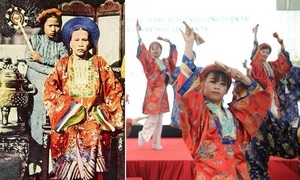 Pham Tra Vy has been doing gymnastics since she was six. 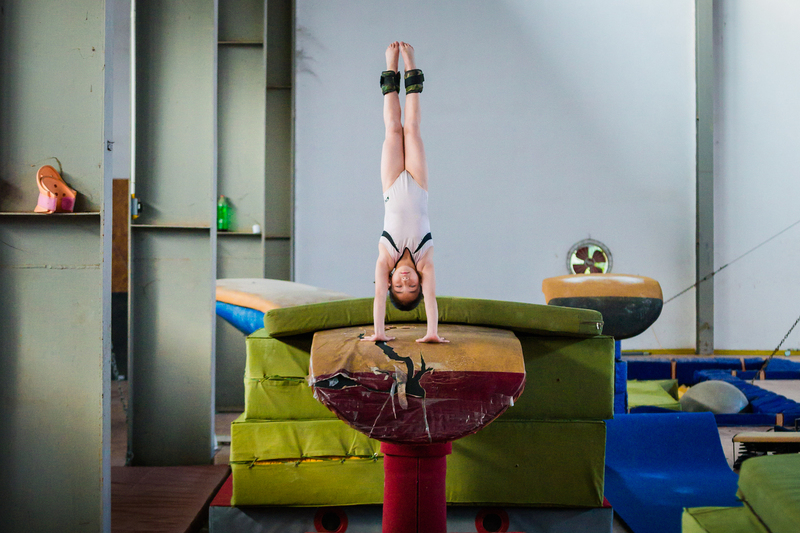 Now at the age of 10, she has started to learn the basic moves on the pommel horse, one of the most popular routines in gymnastics. Vy and the other kids have two training sessions each day, from 7:30 to 11:30 in the morning, and from 2:30 to 5:30 in the afternoon, before taking school classes at night. They stay in the dorm together and only go home on the weekends. Vu The Thanh, 8, tries to stretch his legs with help from another boy. He has been training at the gym for three years. Do Nhat Minh has been training since he was five. Here he is doing an exercise for the pommel horse, which requires him to rotate his body on the chair but keep his eyes focused on one spot. 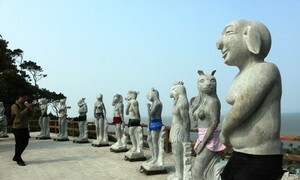 The Hanoi center only recruits a select few each year. 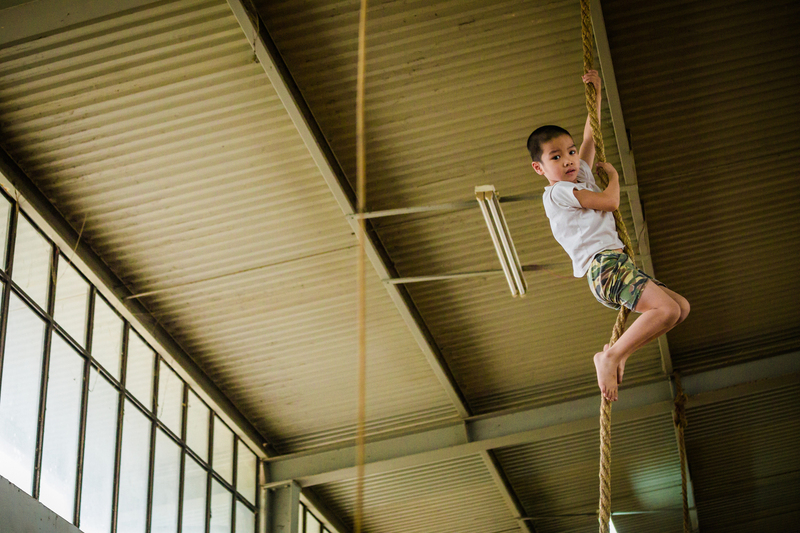 Dao Khuyet is only five but can already scale four-meter climbing ropes. The boys stretch their legs and feet so that their toes stay in line. In gymnastics, athletes are required to walk on their toes all the time. ...And put on happy faces during performances. It will take them six to eight years to become professional athletes. 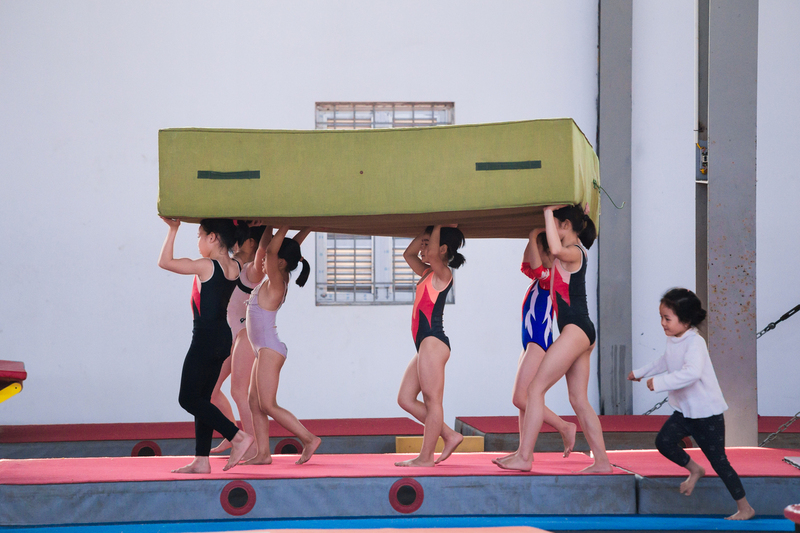 In March last year, athlete Le Thanh Tung brought home the first gold medal for Vietnam at the FIG Artistic Gymnastics World Cup in Qatar, and the Vietnamese gymnastis team won five gold and five silver medals at the Southeast Asian Games in August. 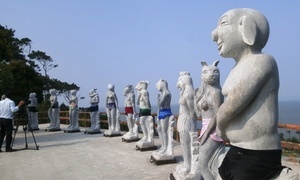 In 2014, Vietnam won its first ever medals in gymnastics at the Asian Games (Asiad), which is held every four years, by winning two bronze medals.